Taipei, April 5 (CNA) Taiwan's Ministry of Foreign Affairs Saturday blasted a new move by Japan to bolster its position on sovereignty of the Diaoyutai (Senkaku) Islands, the latest dustup in the longstanding multinational dispute over the uninhabited islands. Japan's decision to include its stance that the Diaoyutais belong to Tokyo in textbooks and a diplomatic policy blue paper had already earned angry responses from Taiwan, China and South Korea a day earlier, though South Korea's comments focused on another chain of disputed islands. 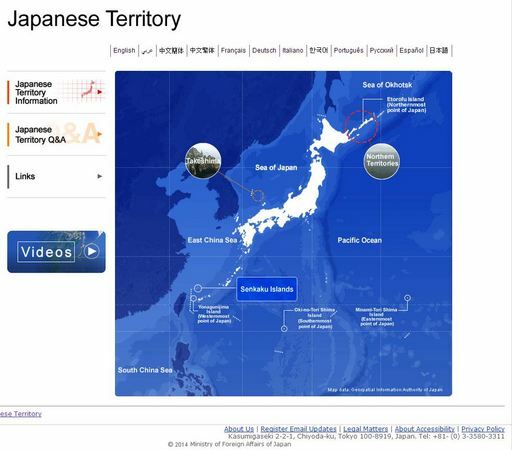 Taiwan, which claims the barren islets as part of the Republic of China's historic territory, Saturday further criticized Japan as "unhelpful to the maintenance of regional stability." The foreign ministry in Taipei said the government has lodged a "serious protest" with Japan through diplomatic channels, though the two countries do not have official ties. It continued that dialogue is key to making the East China Sea "the sea of peace and cooperation," renewing President Ma Ying-jeou's call for parties to set aside their disputes and jointly explore the resource-rich area, or what he calls the East China Sea Peace Initiative. Taiwan's call for dialogue has been more restrained than the response by China's foreign ministry. In a Friday statement, China, which calls them the Diaoyu Islands and completely dismisses the validity of Japan's claim, painted the move as "arms expansion and war preparation" on the part of Japan. The latest diplomatic row over territorial claims comes after Japan's Education Ministry announced that all social studies textbooks approved for use in local elementary schools will make explicit mention of the disputed islets starting in April 2015, according to Asahi Shimbun. Seven of the 14 textbooks submitted for screening refer to the islands which have been under Japanese control since 1972 as "inherent territories of Japan," the paper said. The textbooks also seek to strengthen Japan's claim to the Takeshima island chain, called the Dokdo by South Korea, the center of a territorial dispute between Tokyo and Seoul.